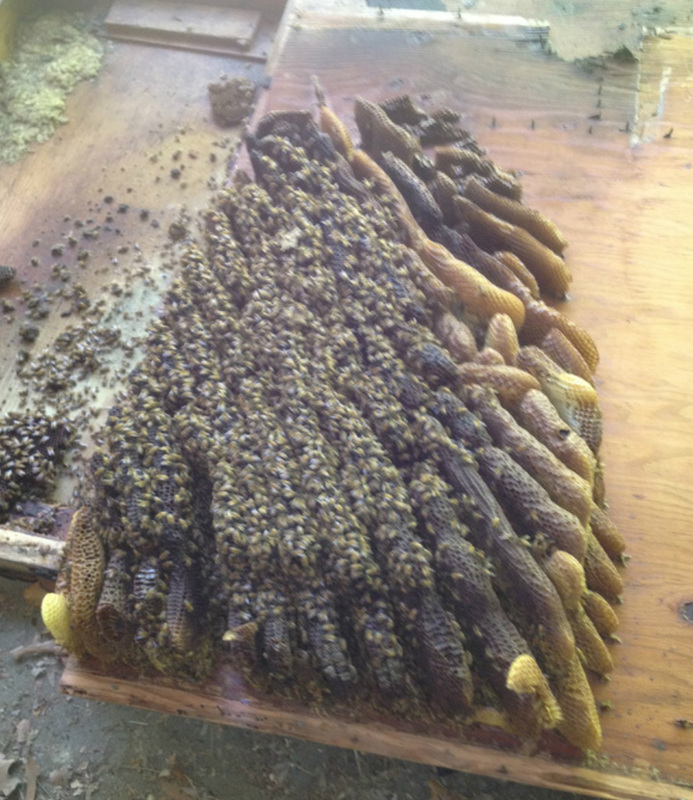 A large swarm moving into a bait hive on June 19, 2010. 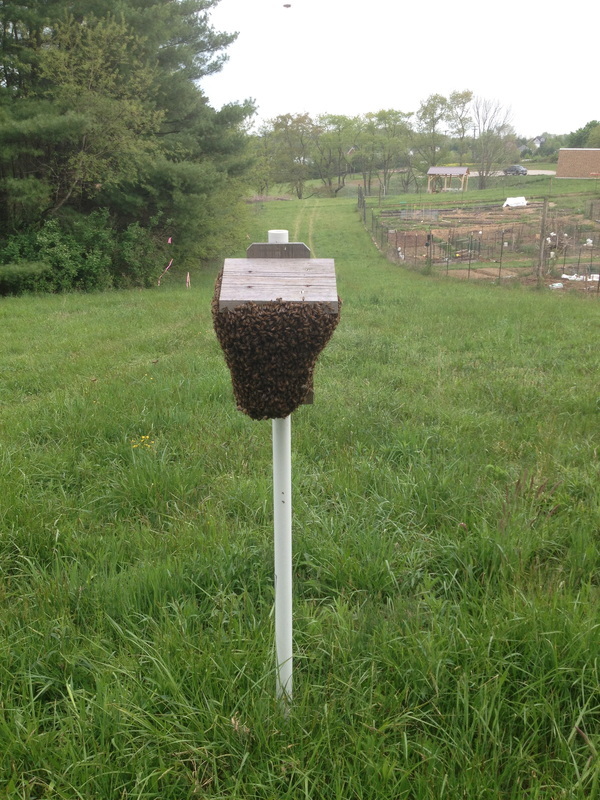 A swarm that has landed on a bluebird box. Fortunately, no birds were harmed. Honey bees swarm as a way of reproducing their colony. Most swarms should not be a threat to people. Before the bees leave the hive as a swarm, they will fill up with food (their honey). This tends to make them more docile. They are not as defensive as they would be when they are occupying a hive. If you see a swarm of honey bees, please do not spray them, call a beekeeper to come and remove them. 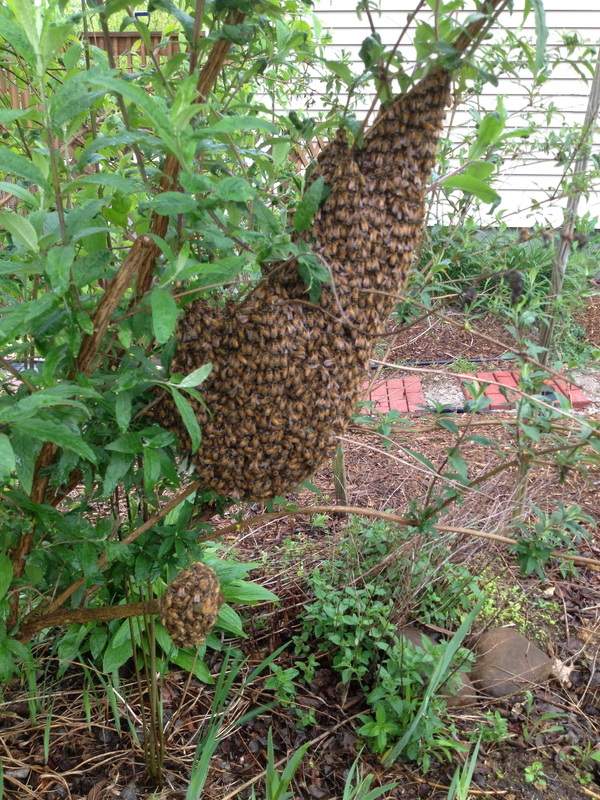 Above are some examples of what a swarm of bees looks like. 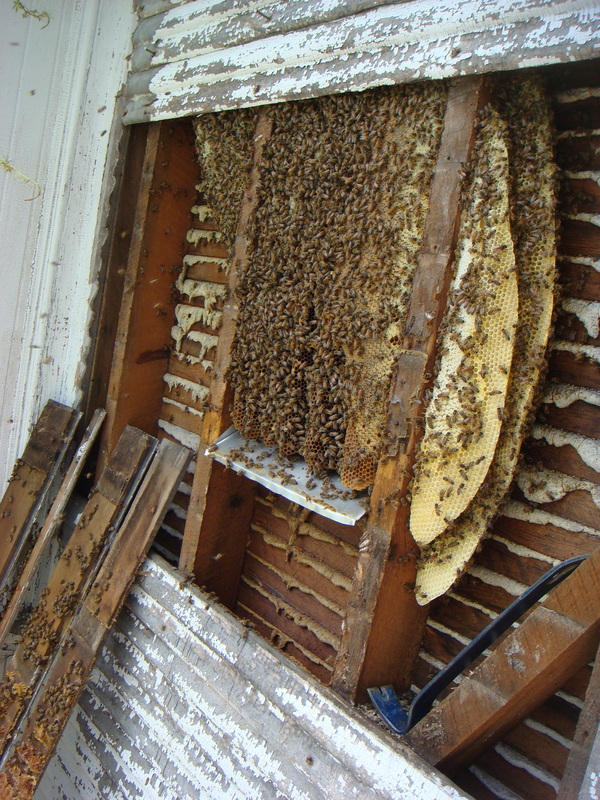 All of these were safely captured and installed into bee hives. 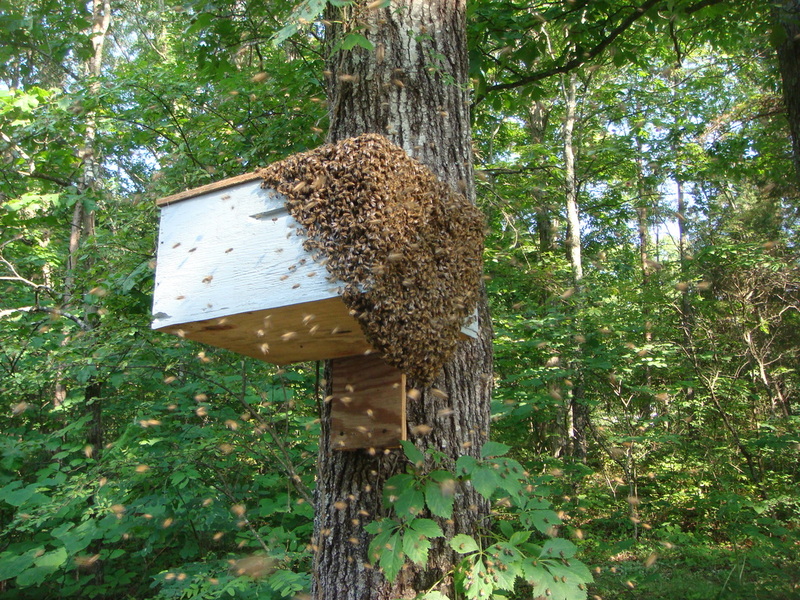 We remove swarms and established honey bee colonies in Montgomery and Giles Counties, Blacksburg, and Christiansburg, VA areas. If we can't come get them, we can refer to other beekeepers that will. 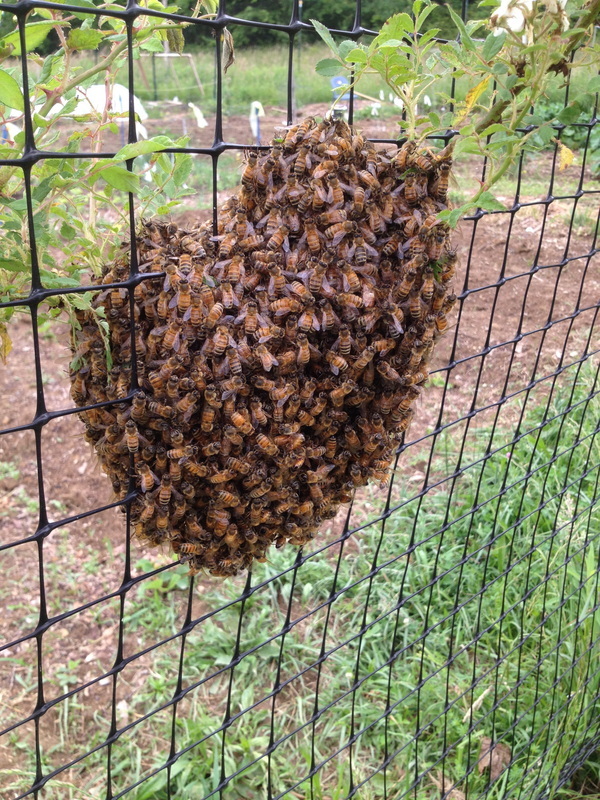 Usually swarm removal is free if the bees have not been sprayed, and they are relatively easy to access. Established colony removals and cutouts are billed based upon the difficulty of the work. Removing a colony one month after the swarm moved in. A colony in the wall of an old farmhouse. A colony in the ceiling of a research facility.